The RPA flex, Rubber Process Analyzer, is the new standard in rotorless rotational shear curemeters. In addition to the standard tests of cure at fixed strain and frequency, the RPA flex can be configured to include variable strain, frequency, advanced LAOS testing, and sample pressure measurement. The RPA flex features a wide range torque transducer and variable sealing pressure and pressure sensor. Employing sealed biconical dies, the RPA flex meets all relevant ASTM, ISO, and DIN standards for rubber and elastomer characterization. 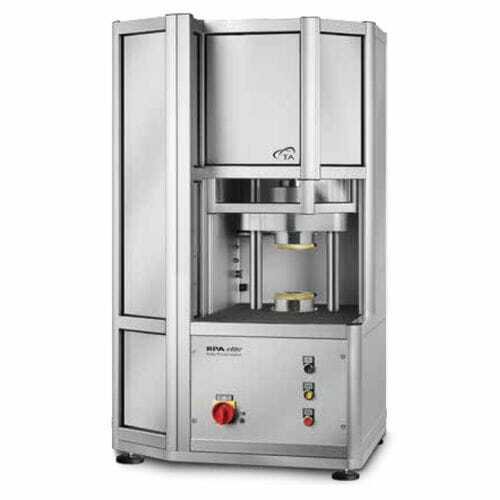 The unique design includes an ultra-rigid test frame, variable direct drive motor, precision temperature control with optional cooling, available Autosampler, and powerful Scarabaeus Control and Analysis Software, making it the ideal platform for QC or R&D environments.